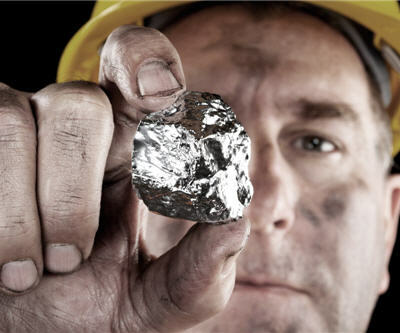 Vancouver-based First Majestic Silver (TSX: FR, Amex: AG) had a 14% increase in total production at its La Encantada, La Parrilla and San Martin silver mines in Mexico for the second quarter ending June 30 in relation to the same quarter last year. Total silver production for the quarter consisted of 1,917,248 ounces of silver, representing an 8% increase compared to the same quarter in 2011. In addition, 3,005,209 pounds of lead and 1,423,890 pounds of zinc were produced representing an increase of 116% and 5,355% respectively, compared to the same quarter in the previous year. No production from Silvermex Resources Inc. was included in the second quarter operations’ report as the deal was finalized on July 3. The company said that despite the positive overall results, it saw production affected by severe drought conditions throughout much of Mexico and parts of the southern United States. Second quarter production results at San Martin were lower by approximately 80,000 ounces due to the local Bolaños River, which supplies water to the region, becoming completely dry. President and CEO Keith Neumeyer said the company acted quickly to assist the town of San Martin de Bolaños by building a 10-kilometre pipeline from a water source near the mine. The excess water was used for milling operations that are now back to normal conditions.